I love Disney. I'm sure I'm not the only one having grown up on the Disney films and going to Disneyland for special celebrations, but even as an adult I still have collectibles around the house, I go see all new films in cinema, and I adore visiting the happiest place on earth. So when I received an unexpected invite for a Beauty and the Beast-themed musical afternoon tea at the Corinthia Hotel to celebrate the new live-action film with legendary composer Alan Menken performing a medley of his most famous songs I felt like I'd won the lottery. 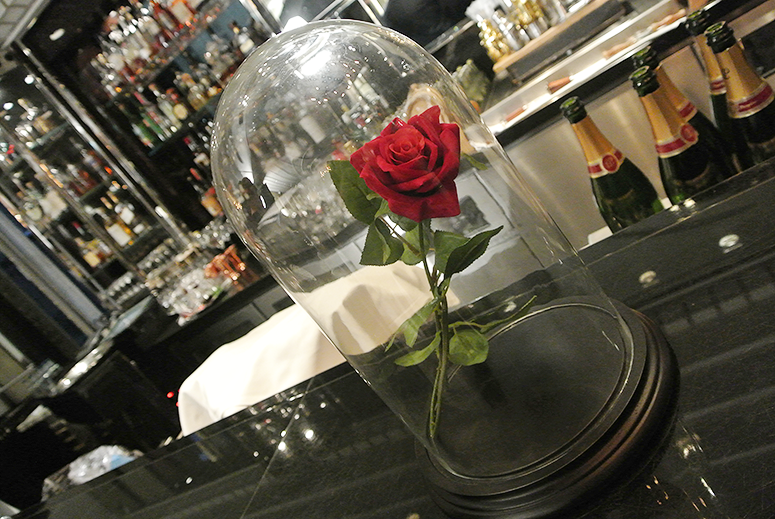 Beauty and the Beast is one of my favourite Disney films. It's not my number one (that is a toss up between Mary Poppins and Snow White depending on the mood I'm in), but top five for sure. So to say that I was excited for the live-action adaptation is an understatement. 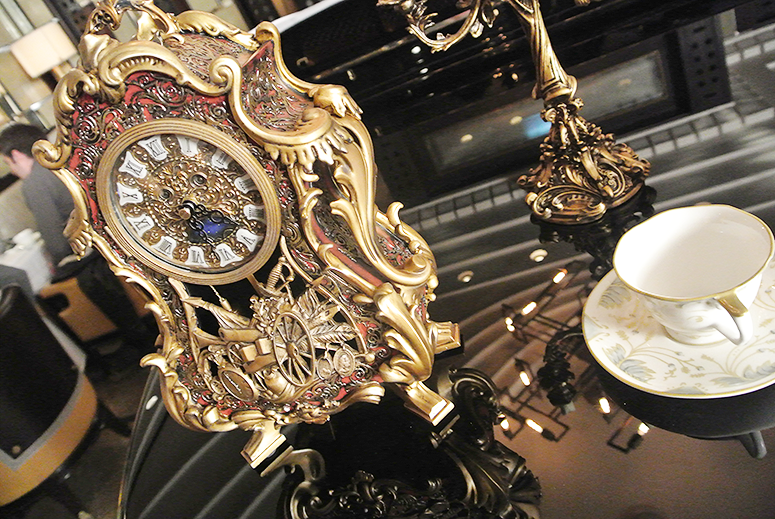 Beauty and the Beast is also the first Broadway show I ever saw (back in 2006, and it had Donny Osmond as Gaston – brilliant) and I imagined the film to be similar in look and feel. On top of that, Alan Menken is my all-time favourite musical composer. Between his wide array of music for animated classics such as The Little Mermaid and Aladdin, and his work on stage (Newsies ♥) and for the small screen (Galavant), he's had a hand in many things that I've adored over the years. I mean, the man hasn't won 11 Grammy Awards, 8 Oscars, 7 Golden Globes, and 1 Tony for nothing. 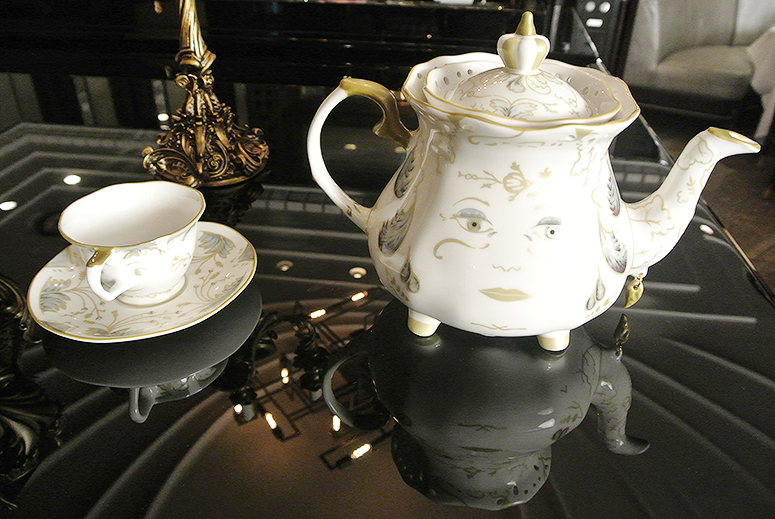 So bringing those two favourites together with the added addition of afternoon tea? I was sold. 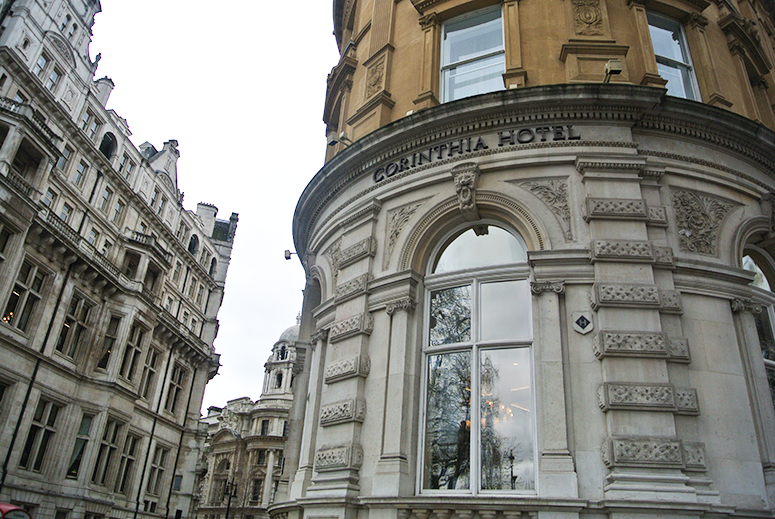 The Corinthia Hotel is smack-down in the centre of London, opposite the Playhouse Theatre. 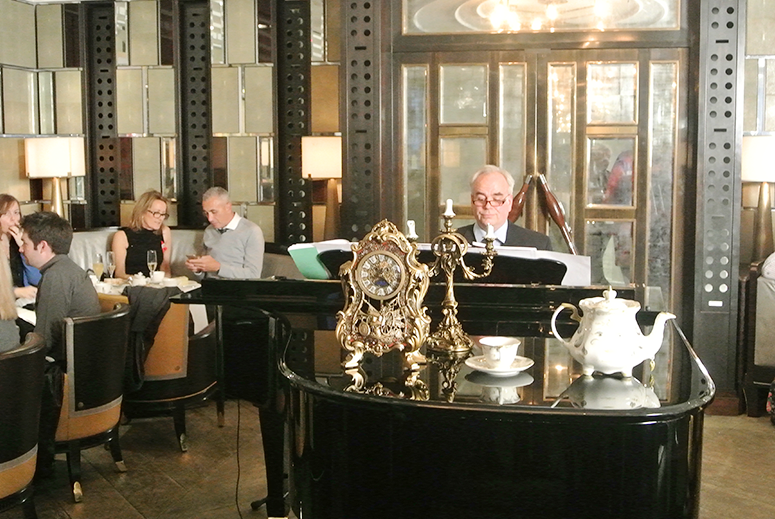 The event was held in the Bassoon Bar, a delightful private space with a grand piano – befitting a musical afternoon tea. 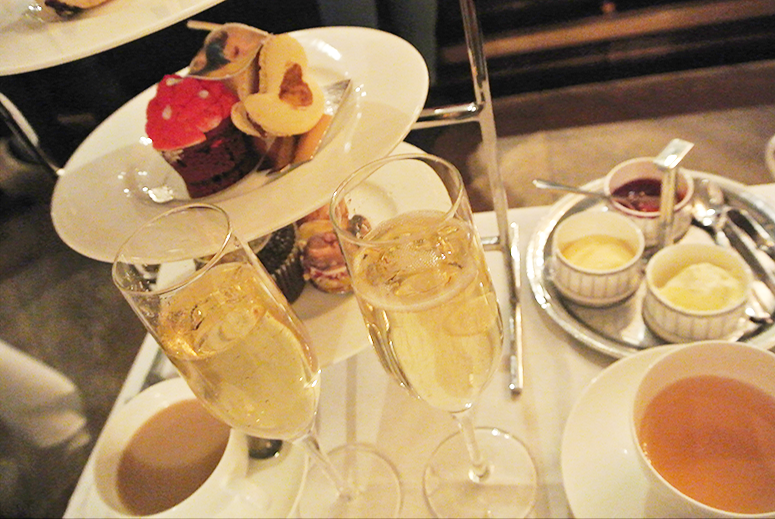 When we walked in, a musician was already performing music from Disney and it was a hugely enjoyable addition to the traditional afternoon tea. 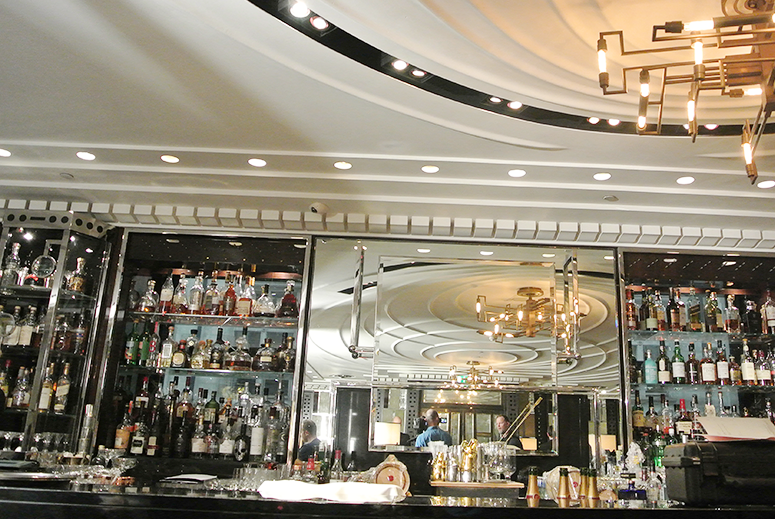 There were a few other bloggers there but mostly there were West End performers, such as Carrie Hope Fletcher and Simon Lipkin, around us. I shared a table with Emma from Love London Love Culture, a fellow blogger I always love chatting to when we we see each other at shows in the West End. 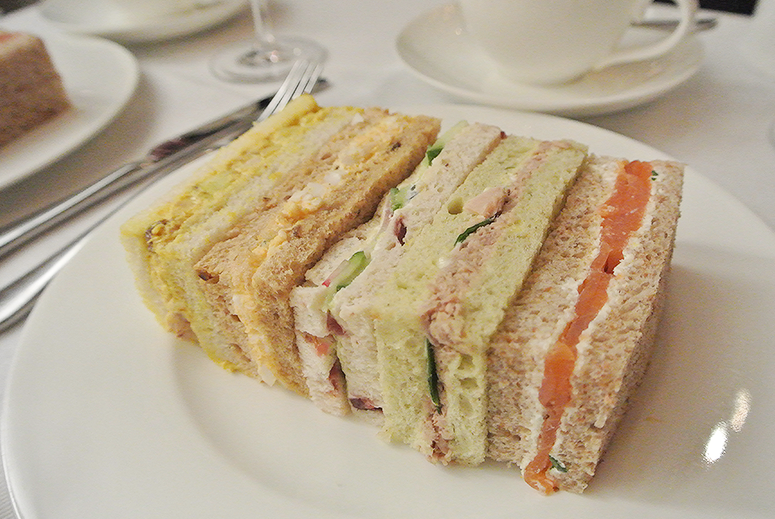 We had a great time catching up while enjoying Champagne and a range of classic afternoon tea sandwiches with a twist (for example cucumber sandwiches on cranberry bread). 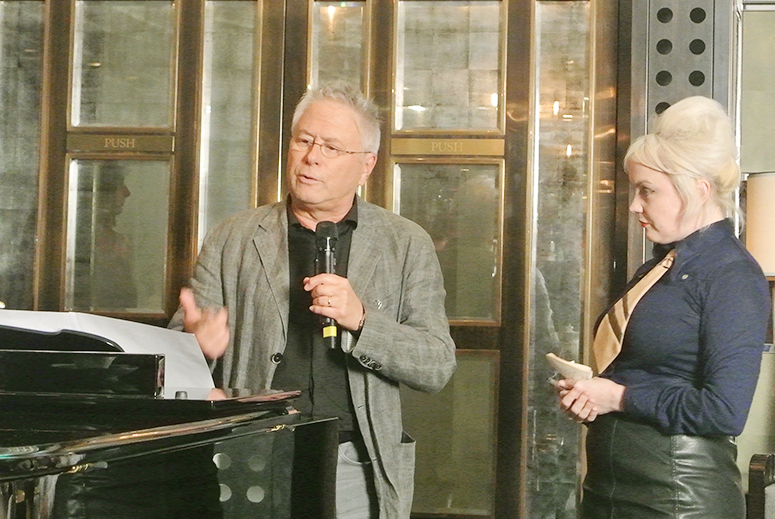 The highlight of the afternoon, though, was of course when Alan Menken arrived. He first performed an extensive medley of the stunning music from the Disney films he's worked on, including Aladdin, The Little Mermaid, Enchanted, Tangled and Beauty and the Beast. His performance was touching and funny, he has a wonderful singing voice and his delivery was both humorous and spine-tingling, depending on the song he was performing. The performance was followed by a Q&A and this man is hilarious! He was asked about the many Oscars he won (in a row) and he mentioned that after some years the Academy Awards changed the rules so someone else would win, but he ended up winning again. Until they made the rule "No more f--- awards for Alan Menken", haha! He also touched upon the new songs written for the Beauty and the Beast live action adaptation, that add a darker side to the story, and working with both Howard Ashman and Tim Rice. All too soon the Q&A was over, but it definitely made us very excited to see the film (and I didn't know it yet then but I'd actually go to the London premiere the next day and not only see Alan Menken again, but the cast too!). Beauty and the Beast will be released in cinemas in the UK on 17 March 2017. It stars Emma Watson as Belle and Dan Stevens as the Beast, with the all star cast also including Ian McKellen, Ewan McGregor, Emma Thompson, Luke Evans, Josh Gad, and many more.